This item has a price of $3500. This is a special order- and made to order. Delivery time is 3-4 weeks. We make the ring in your size. Additional charges will apply for sizes over finger size 7. Each of ring is made to order in your size. 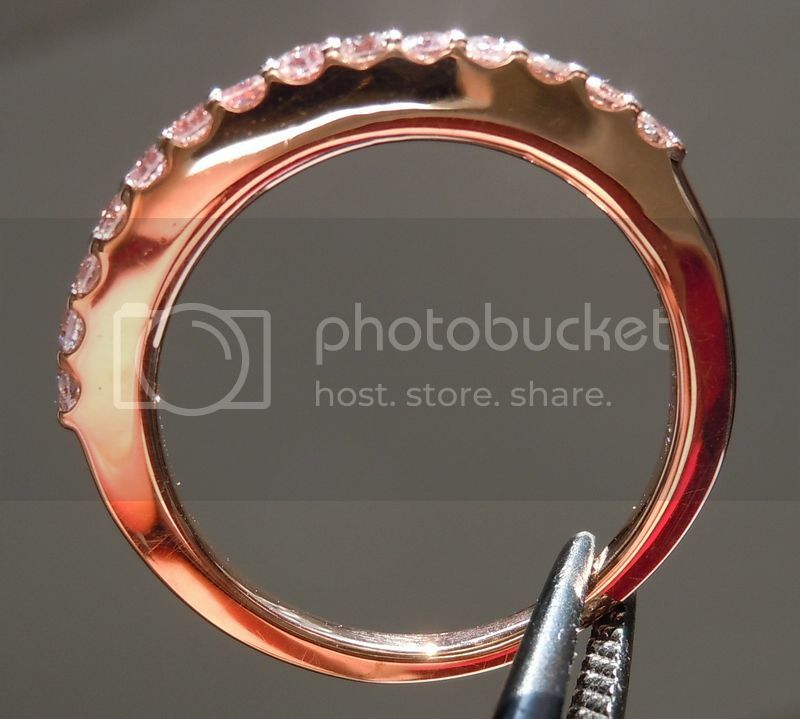 We use really nice looking Natural Pink Diamonds - in this case they are larger than micro pave stones - .02ct each. It looks like the diamonds go all the way around when worn on your finger, but you can turn the ring around to show metal only if you want discretion. The diamonds are a great shade of pink. It is not realistic to expect VS diamonds in these shades - although some are very clean - others are more imperfect. Rest assured, we pick stones that have a pink broadcast and are full of sparkle. Price competitive versus Top Notch service when it comes to micro pave. This ring will be offered as a special order, so it is a satisfaction versus a money back guarantee.